From our experience, geospatial raster manipulation and analysis was a pretty hard task on a enviroment different from a GIS desktop program as QGIS. On a mathematical perspective a geospatial raster is a matrix array, were every cell is georeferenced to a extension on surface. As a GIS user, we treat geospatial rasters as images, that means, something that can be seen an interpreted by our eyes; however as a numerical model, a geospatial raster is a matrix array where values represent something from the field. There was a missing link between the matrix array and the geoespatial attributes. It was not possible to have full control of the matrix values with the geospatial location. 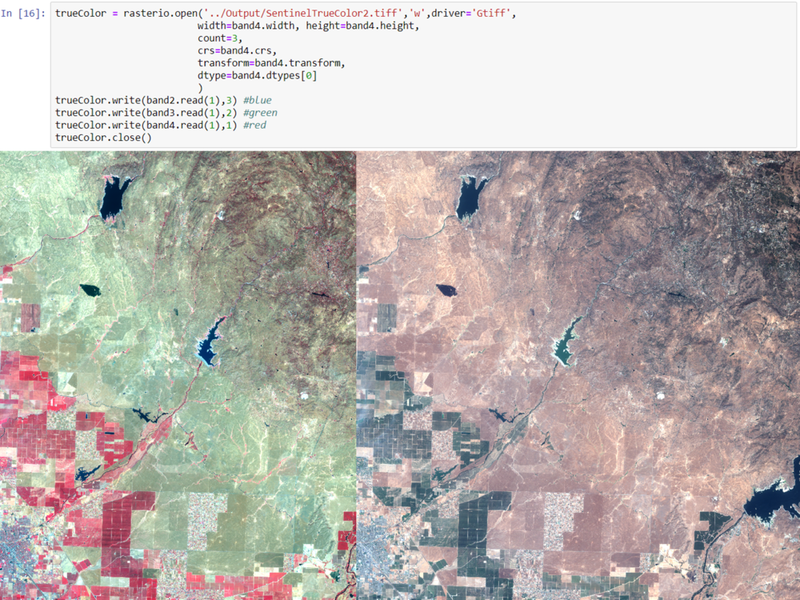 However, nowadays the georeferentiation and manipulation of raster arrays is pretty simple with Rasterio. You can download the input data and scripts for this tutorial here.